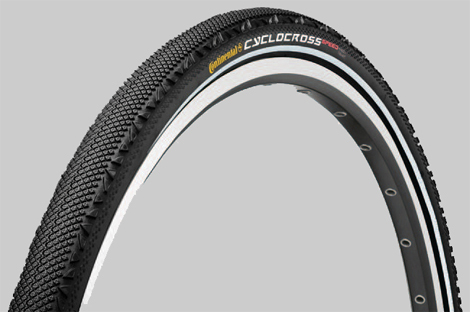 The Cyclocross Speed is the top choice for a pure cross tire thanks to a diamond-coated centre section and coarse stubs in the shoulder lugs. Features a supple 180 TPI casing for that tubular like feel, but without the rest of the hassles. The Continental Cyclocross Speed is perfect for that hard packed course where speed is the king and you want nothing in the way to slow you down.